Suicide is one of the most disruptive and tragic events a family and community can experience. Annually more than 45,000 lives are lost to suicide. Each person’s death by suicide intimately affects at least six other people, with over 246,000 newly bereaved each year. Suicide is the 2nd leading cause of death of adolescents, in aggregate, there is one completed suicide every 12 minutes in the United States, 123 per day. Hillsborough has experienced a statistically significant number of confirmed suicides over the last 17 years. Because of this alarming statistic, Hillsborough Township Public Schools actively educates students about suicide in an age-appropriate manner via the BORO SAFE program. BORO SAFE’s goal is to raise community awareness that suicide is preventable. Residents are encouraged to educate themselves about the warning signs of suicide, understand suicide is preventable and that there are resources available. If anyone is in crisis or experiencing suicidal thoughts, they should call the National Suicide Hotline at 1-800-273 TALK (8255). Organizations and individuals such as 2nd Floor-NJ Youth Helpline, NJ Hopeline, National Suicide Prevention Lifeline, Jersey Voice, BORO SAFE, Hillsborough Township Police Department and Hillsborough Township Public Schools enhance awareness throughout our community by providing support or services to individuals in need. 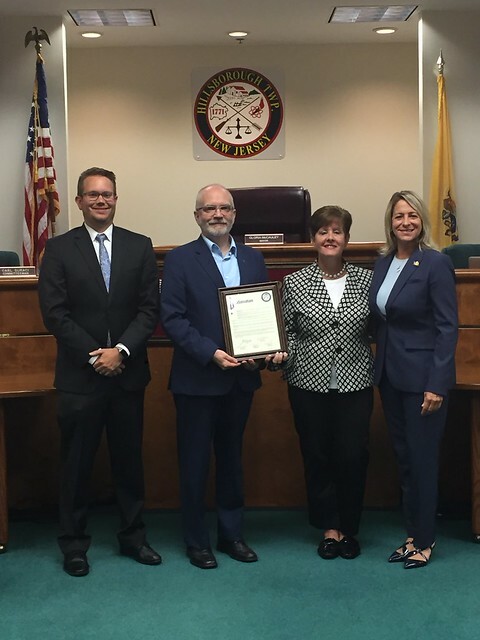 The Hillsborough Township Committee declares September 2018 as National Suicide Awareness Month and vows to continue to support suicide awareness programs dedicated to helping our community.